The Dell PV122T 1/8 Tape Autoloader provides cost-effective easy-to-install unattended backup. 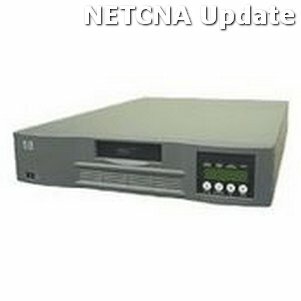 Equally at home in a datacenter rack or on a desk next to the office server the 1/8 Tape Autoloader in a 2U form factor is equipped with either an Ultrium 460 drive SDLT 320 drive Ultrium 230 drive or a DLT VS80 drive and can house up to eight cartridges. The Ultrium and SDLT versions are an ideal consolidated backup solution for multiple servers where high throughput and high capacity are required. The Ultrium and SDLT versions are an ideal consolidated backup solution for multiple servers where high throughput and high capacity are required.